Address: 664049 Irkutsk, m-n Yubileyny, 83"a", box 185. National Park Pribaikalsky, in Irkutsky, Olkhonsky and Slyudyansky Districts of the Irkutsk Region was established in 1936. Its area is 452,7 thousand ha. 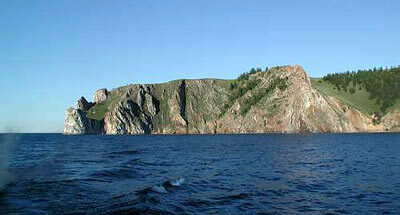 The territory extends in a narrow band along the western shore of Baikal. It includes low mountains of the Primorsky Range, rising up to 1100 m above the sea level (in the south) and 1500 m above the sea level (in the north). 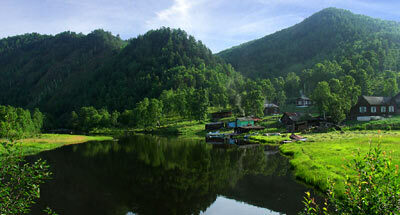 The range is dissected by the valleys of the rivers Angara, Goloustnaya, Buguldeika, Sarma, Anga. The slopes facing the lake are covered by stepped pine forests with an admixture of larch. On wet tops of the mountains pine forests with Siberian pine, Siberian pine-fir forests are to be found. In the valleys spruce and larch-spruce forests are developed. In the middle part of the shore and on the Olkhon Island soddy steppes are widespread. The rare plants to be found are: Deschampsia turczaninowii, Viola incisa. The fauna of terrestrial vertebrates includes 220 species. The ungulate dwellers are: the Caspian deer, Siberian toe deer, moose; the carnivores are as follows: sable, Siberian weasel, ermine. Typical of the steppe plots are: steppe polecat, long-tailed souslik, horned and meadow lark, black kite. In hard-to-reach rocks and on the islands rock dove, Siberian swift, ruddy shelduck nest. 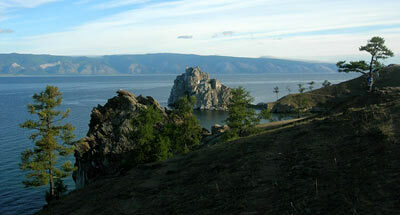 National Park belongs to the World Natural Heritage Site "Lake Baikal".